I’ve always liked portraits where the subject is not looking directly at the camera. It gives the viewer the feeling they’ve caught a candid glimpse of the person. Usually I’ll do portraits in graphite or charcoal, but for me, watercolor is much more challenging. I introduced perylene maroon to my palette and think it will stay. 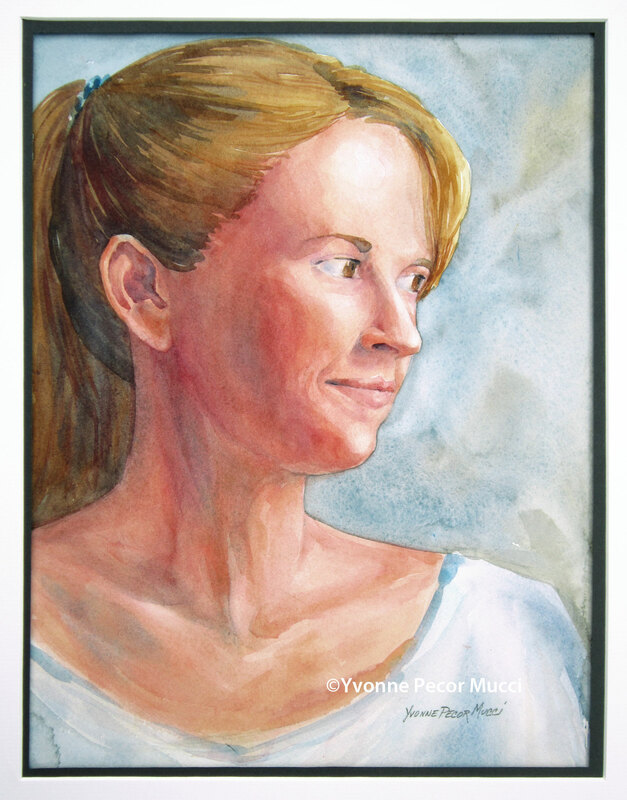 My Girl watercolor is painted on 140# Arches cold press.